Knowing what business or not to start up in Nigeria is key to determining how successful your foray into entrepreneurship may be. You’re usually adviced by many to start different types businesses, but while you ask for advice from so many people on what is the most profitable business to start up in Nigeria, extremely few people give a certain answer because they genuinely do not know, nor are they sure. What then is the most profitable business in Nigeria? Having started, failed, and succeeded at various ventures, one business has stood out completely from the rest, and has gone on to prove itself to not just be more profitable than what most people who’re making money from other means feel is most profitable, but has also shown that a proper management of the venture can quadruple the startup capital in anywhere from three to six months. That said, the most profitable business in Nigeria is the export business with a special focus on certain types of solid minerals export. Our Speech Writing Service And Custom Essays Will Get You The Immediate Attention Of Your Readers And Listeners. Some solid minerals like Mica minerals have high margins that can sometimes be as large as 200% to 300%. Most people buy a ton of Mica directly from the mines at anywhere from 25,000 Naira to 50,000 Naira, after which they go on to resell the product at a 70% to 300% profit. For instance, Mica is sold anywhere from $250 to $450 to international buyers depending on what negotiation you settle with. Most buy at $350 a ton for just FOB terms, meaning that if you secured the product from the mine at anywhere from $90 to $120 and factored in the cost of transporting to the port and loading on a container, selling at $350 is over 150% profit! If you supply on CIF terms, it could cost more. Mica minerals are not the only solid minerals with high margins as there are many other types of minerals that can generate up to 100% and more profits. When the currency value depreciates, importers suffer, but exporters benefit. This is because if you’re making a $100 profit on every ton of mineral you export, that would be $100,000 for the export of 1,000 tons, and converting that an exchange of even 350 Naira per dollar would be equal to 35,000,000 Naira. If you’re exporting a mineral like Mica Mineral, for instance, where the margins can be anywhere from 70% to 300% profit, you can benefit greatly from the conversion rates on your profit margins. The terms of payment on the export businesses vary at great lengths. It could be that the buyer wants you to first load the cargo on the vessel, send the bill of laden documents to their bank, after which they pay a certain percentage before it is shipped, or it could be that the buyer places a payment guarantee in the form of a Letter of Credit at Sight, Standby Letter of Credit, Documentary Letter of Credit, or other related Letters of Credit from their bank to your bank, guaranteeing that their bank would automatically pay once they receive the shipping documents from you. The former is far riskier than the latter, and the latter, which involves the use of various forms of bank payment guarantees is the best payment structure to work with for the export business from Nigeria. With this, you’re guaranteed that you’d always get paid your full dues once you deliver on the agreed terms of the Letter of Credit, whether the buyer suddenly changes their mind to purchase or not. Since exporting even one container of some minerals could start from around one million Naira, you could have your first foray into the export business as a broker who finds buyers for exporters. Startuptipsdaily Media has a sister company called Globexia Limited, which that exports solid minerals from Nigeria. Globexia has a long list of brokers signed up under the organisation and more that come onboard daily. You could start out as a broker for Globexia Limited if you can’t find any other credible exporter, then get a commission on transactions that you can successfully close, especially with regards the export of Mica minerals. Every solid mineral export operation usually requires a mine, the use of machinery to mine the minerals, trucks to transport the minerals, a warehouse to house the minerals, freight forwarders to prepare the required shipping documents, and a shipping line to actually ship the product. The top 10 largest international commodity trading companies in the world own almost every single stage of the process mentioned above. Doing this helps them cut costs greatly and maximises their profit margins, while they create thousands of jobs in the process. As you grow your export business, you could first purchase trucks that would reduce the cost of transportation from the mines to the port, then later build a warehouse that would hold even excess minerals you simply choose to purchase for buyers that won’t visit the mines, then seek a mining licence which would cost under a million Naira in some cases, after which you purchase mining equipment like excavators. With all of these eventually purchased over a certain period of time, you could easily lease them out to other people who need to use them for various purposes, thereby extending your revenue base to not just cover the purchase and export of solid minerals but to extend into mining support services, haulage of goods, and even road construction. While the export business can be very lucrative depending on what mineral you’re exporting, every export operation would usually require at least 10 people working at any mine at any point in time. The more the demand you have from your international buyers, the more hands that would be hired by the miners to meet your demand. In the end, a widespread involvement of a lot of people in Nigeria in the export business would not just enrich the population but would contribute to the economic output, create millions of jobs, and ultimately build the nation. While there are many other types of businesses in Nigeria that have high returns but are largely unknown, the export business is one of the most profitable if you’re exporting the right solid mineral and not just any type of solid mineral. If you want to start a profitable business in Nigeria, the export business is one route to take. If you have little to no cash, you can start out as a broker for any export business or simply broker through Globexia Limited for your first contact with the industry. What are your thoughts on the export business being the most profitable business in Nigeria? Let me know by leaving a comment below. Our Professional Letter Writing Service Ensures You’ll Will Never Go Unnoticed! I am interested please teach me how to do it. We’ve published and are still publishing a series of export-based articles on the blog. Do look out for them. This is a brilliant post..I am very interested in the export market Mr Edom…Are you available for personal mentoring and training so I can learn firsthand from an expert or can you be willing to introduce me to a mentor who i can learn from and work with pending the time I learn the rudiments of the business? 08180990586.that’s my contact number sir,I would appreciate to read back from you sir. While I may not be physically available nor be able to recommend someone else, you can always send your questions to stanley.edom@startuptipsdaily.com. I would send you a mail shortly sir. Thank you for the recommendation, Tolu. Good day Stan, you’re really doing a great job here I must confess. I have a request to maker though a bit out of the subject matter at the momonet. Can you please tell me all the matrix involved in earning from swiss golden crypto currency. . at what point is an investor going to earn or stop earning?. Thank you.. I only deal with popular cryptocurrencies. Nigeria is a very rich and interesting country to have a business to. I am always interested to have a business here one day. Thanks for giving an idea on what business to establish here. My businessman friend also said that his exporting business in Nigeria is doing great. I think that there are a lot of business potentials in Nigeria. I also wish to start my own business there. Thanks for sharing this. Thanks for sharing what business is profitable in Nigeria. I want to have an export business in there too one day. 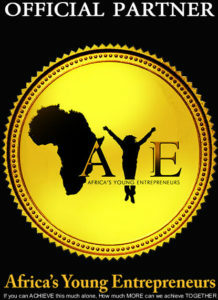 For now I will work out my small business first in Nigeria and soon step up to exporting. I want to start a business in Nigeria. Thanks for sharing these. You just gave me an idea on what business to start in there. I love to share these too to my sister who’s gonna be my business partner. Thanks for the good work,I am interested in the export business but I don’t have the kind of capital required, my best bet is to start as a broker as advice by u,and through ur own firm,so how should I go about it? We’re going to move to Nigeria now. These article helps me think about how to gain profit. Thanks for sharing these article. This is a very nice and helpful article. Thanks for sharing this article. I now have an idea about what to establish in Nigeria. We are going to migrate next year that’s why we are planning things out. This is really a great and useful article. « Will You Be Part Of The 500 Beneficiaries Of The AYEEN 2018 Program?